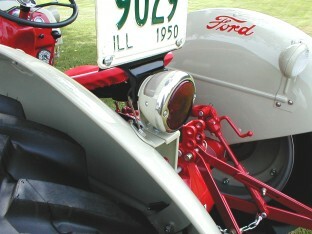 Original tail lights. The tail light on the left was used on the 2N, and early 8N through 1948. It has a chrome bezel and red glass lens with the name TAURUS on it. 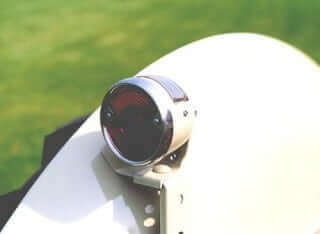 The tail light on the right was sold in the kits starting in ’49 and was very similar with only a small change in the shape of the bezel and a bit more taper in the back of the housing. It carries the DuoLamp name and has the name “Stimsonite” on the red lens.